Quaker Pointe is located in Windsor Virginia. Situated between Smithfield and Suffolk, Windsor is easily accessible to all of the tidewater area. Quaker Pointe is a private family road with access to over 58 acres of fields, woods and is surrounded by water on 3 sides. Located here is simply a working dog's paradise and enables us to provide an excellent foundational training program for young dogs. The variation in terrain also offers a place which is the perfect size for an introduction to a variety of canine endeavors. Raised on a hobby horse farm in upstate New York. The foothills of the Adirondacks so to speak, I have ridden horses from the time I was born and had pets of many shapes and sizes. My love of dogs and hunting came directly from my father. He often told stories of the human/canine bond. He spoke fondly of his cocker spaniels and bird hunting when he was a youngster himself. That human animal relationship and everlasting effects on your person is what captivates me. 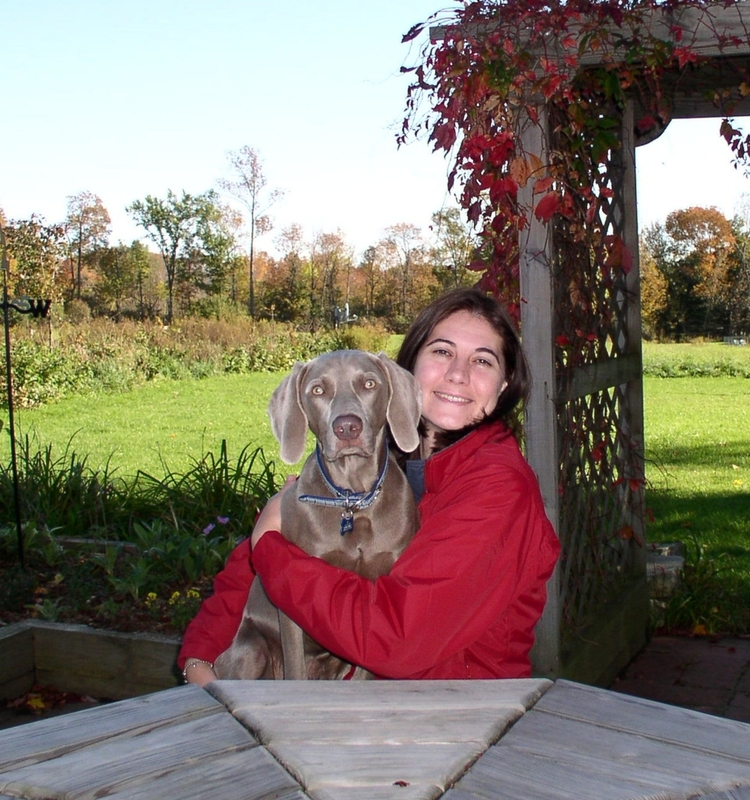 I acquired my first Weimaraner as a teenager and "Webber" was the love of my life for 15 years. As to my dog training knowledge and background I have taken both animal psychology and animal genetics classes, I don't claim to be the be all end all of dog knowledge but when problems & questions arise, I am more than willing to research and find an appropriate solution for that particular dog. That ability coupled with my love and adoration for working dogs and watching them do what they do is what has caused me to dedicate my time and energy to creating Quaker Pointe. Though I am confident in my abilities with dogs of all ages, I prefer to focus my time in teaching young dogs the way of the world so to speak in hopes that people will then experience the joy of having a canine companion they can take anywhere, do anything with and have no hesitation in doing so. At Quaker Pointe we strive to produce and train top quality Weimaraners and German Shorthaired Pointers. Top quality in our eyes means looks as well as performance in whatever the chosen endeavor. Our dogs are excellent family dogs. We strive to provide our clients with that once in a life time dog/companion you will compare all others to. 1. Provide our clients with a top quality versatile puppy. 2. Provide clients with an excellent foundation training program which will enhance and mold a young dog’s skill into an accomplished bird dog while also being a well-mannered family member.